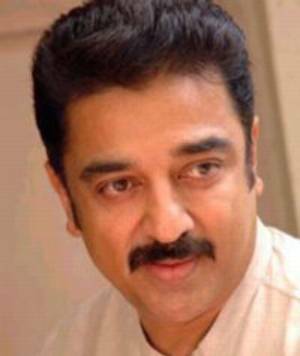 Kamal Hasan, proudly called as Kadhal Ilavarasan in earlier days and now as Ulaganayagan by his millions of fans in India and all over the world, is a great, the most talented and multilingual actor in India. He has hailed form Paramakudi in Tamil Nadu. He started his film career even in his childhood days. He was lucky enough to work with great legends of Tamil cinema like M.G.R. and Sivaji Ganesan. Likewise Rajinikanth, he is also an actor who could not get immediately his popularity or fame in the film industry. Only after having appeared in some black and white films on those dyas, he was able to get steady market His successful run movies like Kalyanaraman, pathinaru vayathinil, gave him a turning point in his film career. He played opposite almost all the Tamil film actresses as well as Hindi film actresses. Ek Duje Keliye is one of his Hindi box office hits. In middle age he appeared some Tamil movies named Devar magan, Aboorva Sakotharagal, Nayagan, Indian, Kuruthi punal, Thasavadaram, Thenali and Mahanadhi.